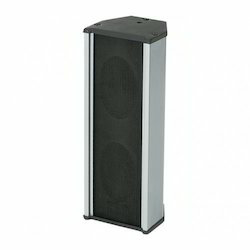 We have gained a remarkable position in the industry by offering a qualitative assortment of Metal Column Speaker. QFlex is a range of digitally steerable, multi-channel, column array loudspeakers. QFlex was conceived and designed to offer a an effective self-contained solution for applications with challenging acoustic conditions, such as houses of worship, convention centers, shopping malls, performing arts centers and museums. - Input Power 10W RMS 15W Max. We provide a wide range of Weatherproof Column Speakers for Airports, Railways, Houses of Worship, Sports arenas, Live sound. Material: Aluminium mesh grille in black colour. We are offering Column Speaker to our clients. 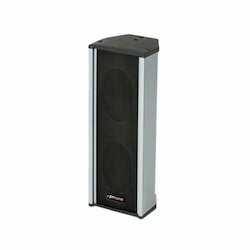 We are offering PA Column Speaker to our clients.